An ice skating has the power to delight both young and young at heart and this is most certainly the case this winter at Eastland's Ice Rink. Ask anyone that remembers Ringwood's Ice Rink at the other end of Maroondah Highway and you will be taken back in time as soon as you buckle on those chunky black boots. 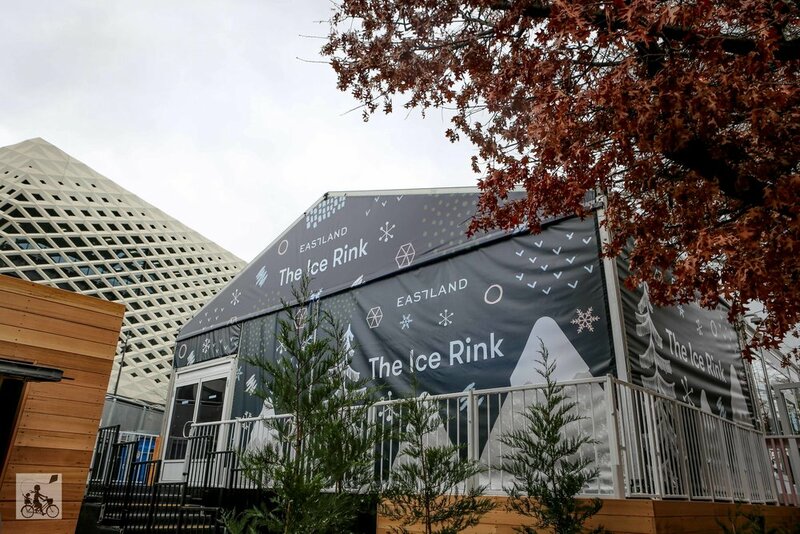 The Ice Rink is not your super sized arena, but has grown from last year, and there is enough room to move during your 45 minute skate session. The edges are the busiest spots with white knuckles gripping the sides while everyone finds their groove. Mamma says you need to grab a bright blue kangaroo quickly - you will want one especially if you are escorting little ones. The juniors can sit on top and feel some wind in their faces while you scoot along behind them. There are special sessions running (before and after the school holidays) that sound super fun! Learn to Skate programs, groove on the ice for Throwback Tuesdays, Sensory-friendly sessions on Sundays, Friday nights will be awesome with RnB and then Family Fun Days on Sunday. Plus Mamma's favourite idea - Tiny Tots Thursdays! A 20 minute ice show followed by kid's entertainment! Click here for the full program and to book your session (from June 18). 45 min sessions begin on the hour every hour.